MMA Pasadena: Proving Grounds 7 | MMA Fighting Events Videos Techniques UFC Fight Picks and News. Fights are going down in Pasadena! 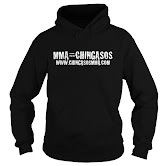 Sanctioned MMA (Mixed Martial Arts) fights that is. 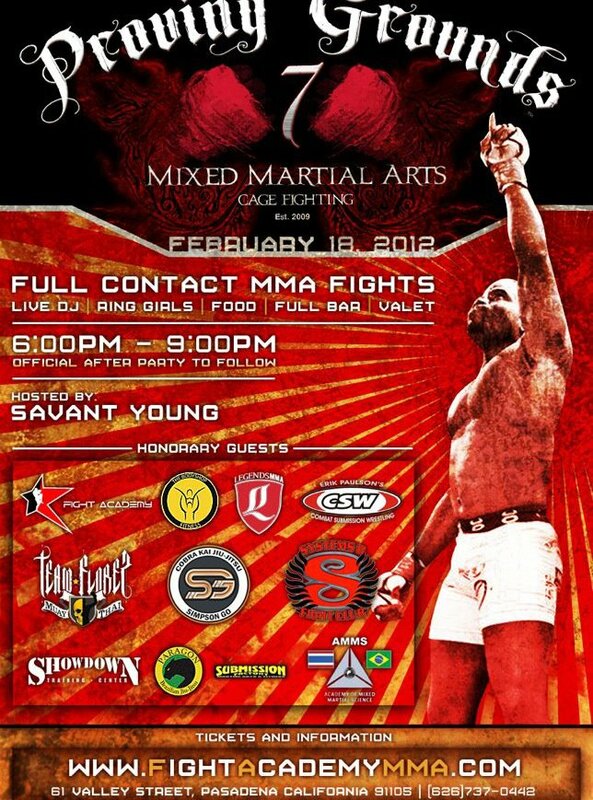 On Saturday, February 18, Savant Young and his Fight Academy MMA gym in Pasadena will be hosting "Proving Grounds 7". MMA fighters from all over the Los Angeles area will be meeting in Pasadena, inside of the Fight Academy cage, to showcase their Mixed Martial Arts skills. Two years ago, Savant Young, a professional MMA fighter himself, saw the need for a platform for up and coming fighters to showcase themselves in the sport, and began the "Proving Grounds" MMA event. It was the first sanctioned MMA event in Pasadena, and one of the first of it's kind in the Los Angeles area. The Fight Academy MMA gym and Savant Young have now hosted six successful "Proving Grounds" events, and now, it's time for "Proving Grounds 7". This MMA event will be another opportunity for Los Angeles MMA fighters to prove themselves in the sport of Mixed Martial Arts (MMA). For some of these fighters, it will be another step in making to the UFC someday. If you're a fan of Mixed Martial Arts, and want to catch one of these live MMA events, stop by the Fight Academy MMA gym in Pasadena on February 18 and catch "Proving Grounds 7". Join the fun as there will be live music, a full bar, and tacos by El Chavo. It will be an intimate venue, so get your tickets ASAP before they sell out. You can go to www.FightAcademyMMA.com for tickets.